Longford GAA can trace its roots back to 1888. Although the first match recorded in Longford after the founding of the GAA took place in 1888, Longford had a retrospective link with the initial founding of the GAA in Hayes Hotel in Thurles where one of the founders, Thomas St George McCarthy was an RIC man, who would serve as a District Inspector with the RIC in Ballymahon. There are also records of football matches taking place in the 18th century, one between Longford and Westmeath in Aghamore. There are also many parish records which record people playing football and many recollections of battles between neighbouring parishes where the battle would go on for hours with no one seemingly keeping score! The first club to officially form was Granard Healys which was formed in late September 1888. The initial officers were President, James Cosgrave; captain, L Cosgrave; secretary, John Cosgrave; treasurer, W Dawson; committee, E Tobin, F Kelly, J Kelly, J Smith and JJ Hennessy. The town of Longford was next with Longford Davitts forming in December 1888 and Ballymahon O’Briens forming in February 1889. A challenge game between the Longford and Ballymahon units took place on Ballymahon’s fair green on February 24th 1889, which seems to be the first recorded game between two teams within the county with the home side winning by three points to nil, refereed by Peter Toolan of Longford. A return game was played a month later in Longford with the home side reversing the result. More clubs were founded over 1889 and the first tournament took place on Easter Sunday 1889 with football games and other athletic events taking place. On the 13th of October 1889 two matches took place in Longford involving Longford vs Killoe Erin’s Pride and Drumlish Emmets vs Clough Dillons. After these games the first Longford GAA council meeting was held with delegates from Ballinamuck, Drumlish, Clough, Columbkille, Dromard, Killoe, Longford and Clonguish. This meeting appointed the following… President: JP Farrell, Secretary: JH Dunne, Treasurer: Francis McGuinness. The first county final took place in Abbeycarton Lane on June 8th 1890. Patrick Baxter from Ardagh was the referee. Rathcline scored four point in the first half with Columbkille struggling to play as well as they had in their semi final, but a fisted goal in the second half gave the lead to Columbkille which they held on to win, despite strong objections over the goal. In 1890 a goal was worth more than any number of points, hence Columbkille won on a scoreline of 1-0 to 0-4. The next few years saw the political unrest impact upon the GAA activities and the county board struggled to keep formed. An effort was made to play a championship in 1891 with a number of games played, but there seemed to be as many objections and the county board struggled to function and no hearings were held so the championship didn’t finish. The Association across Ireland could not escape the divisions of the Parnellite split of 1891 which were particularly evident in Longford, and the GAA in the county as elsewhere went into decline for the remaining years of the century. Many clubs fell by the wayside and only sporadic games in 1892 and 1893. 1894 saw only four teams play in and around Longford town. In 1896 a county committee (not County Board) was formed but did not last very long and later that year a challenge match took place between Longford Shamrocks and Granard Slashers with the Shamrocks recording a convincing win. This had been recorded previously as a County Final but that is incorrect as the County Board was not in existence and no official competition took place in 1896. 1902 saw some improvement with some games played including the first hurling club called Leo Caseys which was founded in Longford. The first recorded hurling match took place in December 1902. The game was between Longford and Roscommon. Indeed the hurling team was the first Longford team to play in Croke Park in either code, or Jones Road as it was then called. November 1903 saw a Longford team play in the Leinster football championship for the first time against Wexford in Jones Road. The Wexford side had a comprehensive win, 2-12 to 0-2. 1904 also saw the reforming of a county board which led to a revival thereafter of the Longford football championship as well as a hurling championship. Nine teams played in the 1904 football championship with Longford Leo Caseys winning the final against Killoe. The same clubs met in the hurling final in 1905 with Longford Leo Caseys recording a win in that match too. 1905 saw a nationwide restructuring of the organisation and there was plenty of activity in Longford, but things still weren’t running smoothly. Longford played Kilkenny in the Croke Cup in Jones Road, but were to suffer a heavy defeat. 1906 saw Longford play Westmeath in both Leinster championships with Westmeath winning both matches. 1906 also saw a camogie team form which was reorganised in 1907. The championship in hurling and football was won by Killoe in 1907. The years following 1907 were a struggle on the field with little activity and no official championships played, but 1911 saw an upturn with teams competing against Westmeath and a running of the local championship which ran for the next few years despite no competition being held in the years 1912, 1914, 1916, 1917 and 1918. Newspaper reports in 1917 carried the following official notice… “Owing to the somewhat disturbed state of the country, all football fixtures are postponed until further notice”. This was likely due to the state of the country politically as well as the impact of the Spanish Flu and Conscription crisis. Killoe was the dominant team of the period winning the football championships of 1911, 1913 and 1915. The 1919 championship previously credited to Clonguish was actually the 1919 League title, with that years championship title going to Clonbroney Camlin Rovers (later renamed Sean Connolly’s). Newspaper records of 1919 show a clear distinction between league and championship. The newspaper archives also includes reports on the progress of the 1919 championship, which concluded with victory for Clonbroney Camlin Rovers over Killoe Young Emmets in a replay by 1-3 to 0-3 on 3rd August 1919. While the Championship status in those years is now clearer, the League (sometimes referred to as League-Championship) is somewhat more complex with competition stretching across years. Granard won the League titles in 1914, 1916 and 1917, however the 1917 campaign took two years to complete and the final between Granard & Killashee was held on 23rd February 1919 with Granard winning by 2-4 to 0-0. A letter in the paper complained about the length of time taken to complete the competition. The championship draw took place after that match in February 1919 and the final took place in July with Clonbroney winning the title. The draw for the 1919 league took place on 23rd of July 1919 with the first games kicking off August 10th 1919. Long delays between November and February 1920 delayed matters on account of objections and lack of light at afternoon matches which ran into evenings. Action resumed in February 1920 with the semi finals in March and the League final on April 11th 1920 in which Clonguish beat Mullinalaghta to claim the league title of 1919. Longford faced Cavan in the All-Ireland semi final and a 1-5 to 1-3 win set up a final against Kerry. The game was played on July 26th 1925. Kerry established an early lead, but Longford came back to lead. But a goal early in the second half and despite the best efforts of the Longford men, Kerry won 1-6 to 0-4. The Longford team was F Gaffney (captain), W Rogers, P Bates, F Canning, P McWade, C Heuston, J McWade, M Deane, E Gaffney, M Grehan, P Reilly, R Burke, M Cawley, M O’Toole, H Greene. Longford didn’t reach the final in the next few years, but they did reach the final of the 1925 Leinster league where after many objections and an unfinished match, Dublin won the title. 1929 saw Longford win their first minor title. The first round was a victory over Westmeath, 3-6 to 2-1. The second round was in Croke Park where Longford defeated Carlow 3-3 to 2-3. Backboned by a large number of St Mels players, Longford defeated Dublin in the final on a scoreline of 3-4 to 1-4. As Ulster and Connacht had no minor championship at this stage, Longford met Clare in the All-Ireland final, but only after on objection from Dublin. The final was reported as a hugely entertaining affair with Clare leading 1-3 to 1-1 at the break. The sides exchanged many goals, but Clare ran out four point winners on a scoreline of 5-3 to 3-5. The squad of players involved was T Reilly, A Vaughan, J Mulvey, J Lyons, J Quinn, J Sheridan, P Keenan, P Farrell, J Barden, W Clarke, T McHale, P McLoughlin, M Barden, W Farrell, J Smith, Clarke. The Leinster Junior Championship started off with a 4-5 to 1-4 win over Dublin followed by a 0-9 to 0-1 win over Carlow. The semi final was played in Navan against Louth and Longford won 1-7 to 0-4 to set up a final against Offaly. The final was played in Longford on August 1st, the first time a provincial final was held in Longford. Similar to the minor final a few years earlier, goals were in plentiful supply. Longford led 2-6 to 1-1 at the break and ran out 3-7 to 4-1 winners. 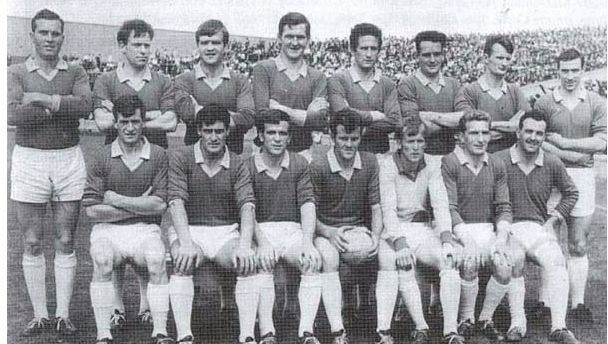 The team was Gerry Marsden, Frank Marsden, Joe Lyons, Peter Duignan, Eugene Reilly, Bill Keenan, Tom Murphy, Joe McDermott, Barney Reilly, Harry Rogers, John Mitchel McCarthy, Paddy Keenan, Tony Sheridan, Joe Regan, Jack Rogers, Paddy Loughrey, Mick Quinn, Paddy Farrell, Jim Murphy, Denny Hughes, Frank McCormack. Longford face Antrim in the All-Ireland semi final in Breffni Park on August 8th. Longford took control in the first half and led 1-7 to 0-3 at the break, the goal coming from Paddy Keenan. A further 1-7 in the second half saw Longford win 2-14 to 0-7. The home final was against Mayo on September 19th. The game was tight in the first half, but Longford finished strong to lead 0-6 to 0-3 at the break with Longford having played with a strong breeze in the first half. Tony Sheridan scored a second half goal to give Longford a five point lead, but they had to withstand a dramatic finish after a Mayo goal, but Longford held on for a 1-7 to 1-6 win. The team was G Marsden (St Brigids), F Marsden (St Brigids), Jim Hannfiy (Drumlish), J Lyons (St Brigids), E O’Reilly (Dromard), W Keenan (Ardagh), T Murphy (Drumlish), P Farrell (St Brigids), B O’Reilly (Mullinalaghta), H Rogers (Mullinalaghta), J McCarthy (Granard), P Keenan (Ardagh), H Sheridan (Granard), J Regan (Granard), J Rogers (Mullinalaghta). Subs P Loughrey (Drumlish), M Quinn (Drumlish), J Murphy (Clonguish), J McDermott (St Brigids), D Hughes(Slashers). The good run continued in 1938 with Longford minors recording another Leinster title. Wins over Westmeath (2-3 to 0-3) and Laois (0-7 to 1-3) saw Longford reach the final. The final was against Louth. The first half was a tight affair with each side scoring two goals, Longford leading 2-3 to 2-2 at the break. Both sides led at various stages in the second half, but a third Longford goal was the key score and Longford won by the minimum margin, 3-6 to 2-8. The team was T Murphy (Clonguish), P Fagan (Sean Connollys), C Baxter (St Mels/Slashers), B McGoey (Clonguish), K Clinton (Clonguish), P McGrath (St Brigids), J Kane (St Mels/Sean Connnollys), J Reilly (Mullinalaghta), T Daly (St Mels), J McGuire(St Mels/Emmets), C McGoey (Clonguish), P Lehane (St Mels), K Banks (St Mels/Slashers), P Beirne (Clonguish), J McDermott (St Brigids). Despite the rations during the war years, Longford continued to field, but titles weren’t to come as they had in the 1930s. The national league wasn’t played in all of the years, but Cavan, Longford and Westmeath played local challenge matches to keep teams active. Longford had some notable championship wins over Westmeath in 1941 and Offaly in 1944 to qualify for the Leinster semi final, but Dublin were just too strong and won 2-2 to 1-4 in Mullingar. The Longford team was J O’Leary, J Harold, W Morgan, U Martin, A Meagher, J McGrath, B O’Boyle, T Kiernan, P Farrell, F Brady, P Dolan, P Newman, A McNally, G Hennessy, N Dodd. The semi final was played in Pearse Park, a double header with the All-Ireland minor semi final between Mayo and Armagh. Derry were Longford’s opposition. Derry played with a stong breeze in the first half, but Longford finished the half level, 1-5 to 2-2. The second half was a tight affair with Derry keeping Longford scoreless while adding a point themselves, but a Jim McGrath goal five minutes from time set up a 2-5 to 2-4 win for Longford. The final was played in Croke Park on September 13th, but Cork proved much too strong and won on a scoreline of 2-9 to 0-4. 1954 saw Longford build on the progress of the previous year reaching the semi finals at minor, junior and senior level. The senior side were defeated by Meath 2-9 to 1-5, a late 1-1 securing the win, but this was a Meath side which went on to win the All-Ireland title. One notable achievement was the Granard club were to win the 1954 Cavan senior hurling championship. The next few years saw some good performances such as a minor championship win over Dublin in 1957, but ultimately no finals or trophies were won. 1959 would see an uptake again and started with two junior championship wins over Offaly and Westmeath. The seniors also won their first round with a good win over Westmeath and this was followed up with a superb 1-11 to 1-7 win over Meath to qualify for the semi final against Laois. The juniors also qualified for the final, but only after a replay against Kilkenny, winning 1-10 to 1-7. The seniors took on Laois in Tullamore on June 28th, but the Laois side were too strong, winning 2-9 to 0-8. The juniors met Dublin in the final, but the men from the capital were too strong, winning 2-16 to 0-5. The 1960s are rightly remembered as the glory years of Longford GAA as covered in 1966/1968, but a lot more happened that decade. The 1960 championship started off with a 0-9 to 0-8 win over Meath, but things were quickly brought down to earth by a rampant Dublin side winning 10-13 to 3-8. 1961 started well for all the championship teams with Minor, Junior and Senior recording wins over Westmeath, as well as St Mels winning the Leinster championship. The seniors won 3-10 to 0-8 setting up a match with Meath, which Meath won on a score of 1-6 to 0-8, Longford being left to rue a defensive mix up for a goal and a penalty miss. Longford reached the final of the O’Byrne cup after wins over Meath, Louth & Dublin, but Offaly were too strong in the final, winning 1-10 to 0-6. Laois were too strong for Longford in the 1962 championship, but once again, a good run in the O’Byrne cup saw Longford defeat Offaly, Wicklow and Kildare to reach the final, but the final in Drogheda against Louth was a bridge to far as the home team won 1-10 to 0-10. 1963 saw a first round win over Westmeath before falling to Offaly. Westmeath would over turn this championship result in 1964, a year which saw the passing of Fr Sean Manning, the Dublin native who was county board chairman from 1945 to 1950 as well as being the St Mels trainer for many years. 1965 was to be a forerunner for the coming years. The senior championship started with a 1-5 to 0-5 win over Offaly in Mullingar which set up a quarter final against Laois where 1-2 from Bobby Burns saw Longford win 1-9 to 0-8. The semi final was a game against Meath, where Longford put in on of their finest performances to win on a scoreline of 2-8 to 1-7. The final saw Longford take on Dublin. A poor first half was the undoing of Longford where a penatly was missed after 7 minutes which was followed up with a fortunate Dublin goal minutes later. Dublin led 1-5 to 0-3 at the break. The second half was a much improved performance from Longford, but Dublin ran out 3-6 to 0-9 winners. The Longford team in the final was L Flynn, J Flynn, L Gillen, B Gilmore, B Barden, J Donlon, T McGovern, J Flynn, J Hannify, J Devine, M Hopkins, M Burns, S Murray, B Burns, S Donnelly. Subs J Heneghan, M Reilly, J Sheridan, S Ryan, P Sheridan. But Longford didn’t end the year empty handed as wins over Offaly and Louth saw Longford reach another O’Byrne cup final. 7500 people came to Pearse Park as Longford came from two points behind at half time to win 1-9 to 1-6. Brendan Barden was the winning captain and the team was M Fay, S Flynn, L Gillen, B Gilmore, B Barden, J Donlon, T McGovern, J Hannify, J Flynn, J Devine, M Hopkins, M Burns, S Murray, B Burns, S Donnelly. 1965 also saw the first running of the Fr Manning Cup as Longford won the new tournament by defeating Westmeath 0-4 to 0-3. 1966 would become the most successful year in the history of Longford football. On the back of an O’Byrne cup success over Kildare in 1965 and reaching the leinster football final, Longford started the 65/66 league with wins over Cavan 4-7 to 2-12, Sligo 1-9 to 1-8 and Leitrim 0-12 to 0-6. Longford won the division 2 semi final against Meath 1-7 to 0-8 and defeated Cavan again 0-11 to 0-7 to qualify for the league semi final proper where they defeated Donegal 0-13 to 0-11 to meet the all conquering Galway in the home final. The final was won 0-9 to 0-8 with Bobbie Burns scoring 8 points and the other coming from Sean Murray. The league final proper was a two leg affair against New York. 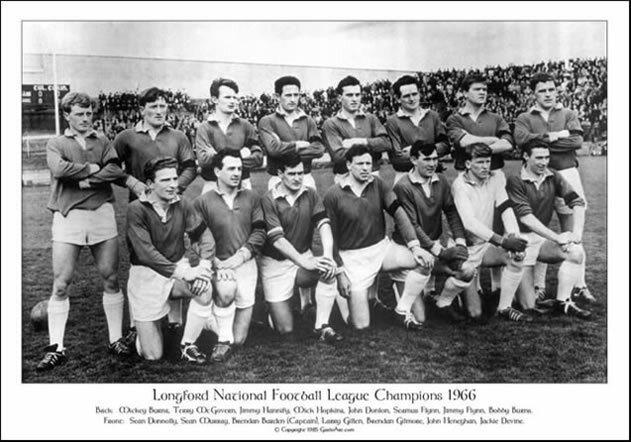 Longford won the first leg 1-9 to 0-7 and although they lost the second leg by 0-10 to 0-9 were crowned National League Champions for 1966. The game was played on October 9th in Croke Park almost 29 years to the day after the All-Ireland Junior Crown. While the 1966 league ended in a historic National League victory, the 1966 championship turned out to be a disappointment as Louth caused a shock, winning 0-13 to 0-7. The 1967 championship saw Longford defeat Kildare after a replay before losing to Offaly 0-13 to 1-7. In 1968 the championship first round was a repeat of the 1965 Leinster final where Longford defeated Dublin 1-12 to 0-12 in Tullamore. The sides were level 6 times, but Jackie Devine scored the key goal to set up a semi final meeting with All Ireland Champions Meath. Played in Mullingar in front of 20,000 people, Longford always had the upper hand on the champions with Mick Hopkins and Jimmy Hannify doing most of the scoring to win 0-13 to 0-7. Laois were the opponents in the final and Longford went 0-5 to 0-0 ahead in the first quarter. Laois responded with 1-1 but two further points left Longford 0-7 to 1-1 ahead at the break. But seven minutes into the second half Sean Donnelly scored the first Longford goal. Laois responded with points but goals from Sean Donnelly and Jimmy Hannify and further points left Longford with an historic 3-9 to 1-4 win. The back room team was trainer Mick Higgins and his selectors Fr Phil Mc Gee, who was the manager, Jimmy Flynn, Mel McCormack, Mickey Kelly, Patsy Reilly and Bertie Allen. The team who lined out for the final was John Heneghan, Jimmy Flynn, Larry Gillen, P Barden, Brendan Barden, John Donlon, JP Reilly, Jimmy Flynn, Tom Mulvihill (0-2), Jackie Devine (0-2), Jimmy Hannify (1-1), Vincent Daly, Captain, Sean Murray (0-1), Mick Hopkins (0-1), Sean Donnelly (2-1). Subs M Reilly, P Burke (0-1), M Burns, Brendan Gilmore, S Ryan, D Kiernan, J Donlon. The semi final saw Longford face the might of the Kingdom in Croke Park. Over 34000 people saw the new Leinster champions take on Kerry. Longford got off to a great start going 0-4 to 0-1 ahead after five minutes, but a Kerry goal from Pat Griffen saw Kerry take over and a further first half goal left the half time score 2-7 to 0-6. Longford got a great start to the second half when Tom Mulvihill scored a great solo goal. Further points to just two in reply from Kerry left just two points between the sides. Then Longford were awarded a penalty which Jackie Devine struck to the net to leage Longford 2-10 to 2-9 ahead. But Kerry responded with points from Mick O’Dwyer, Brendan Lynch and DJ Crowley dashed Longford’s dream of reaching a first all-Ireland senior final. That championship run saw Larry Gillen, John Donlon, Jimmy Hannify and Sean Donnelly play for leinster in the railway cup and Brendan Barden was a sub. There were no all stars in that era, but Longford would surely have picked up a number had such honours existed. 1969 was a huge climb down as Wexford defeated Longford 3-5 to 1-8. Wexford also defeated Longford in the minor championship 1-12 to 0-9 to end what would be the most successful period of football in Longford GAA history. On the club front there’s no doubt that the 1960s belonged to Clonguish, winning 6 senior championships including a marvellous four in a row. The other championship titles throughout the 1960’s were won by Killoe, Slashers and two titles for Granard. The 60s also saw the formation of the intermediate championship in 1966 with Kenagh being the first winners of the grade. Mostrim, Cashel and Ballymahon were the other winners. Junior winners included Ballymahon, (who did a double with the Leader Cup), two for Cashel, two for Rathcline, Kilashee, Mostrim, Connnollys and first titles for Legan and Shroid. The 90s started off well for Longford with an excellent league campaign that saw Longford reach a quarter final against Down, who would win the 1991 All-Ireland. The league campaign had notable wins over Westmeath and Galway. This left Longford in good shape for the championship and a first round win over Westmeath set up a match with Meath, but Meath were much too strong on in the next round. A similar path was followed by the minors who defeated Westmeath but lost out to Meath in the semi final. 1991 was full of disappointment. A tough league campaign yielded just one win and a draw before a heart breaking defeat away to Louth in the championship, a late Louth goal giving them a famous win. The next few years were tough for Longford followers as heavy defeats to Wicklow, Offaly,Laois and Meath saw early exits from the championship. League wins were also rare, although a good run in 1994 saw Longford reach a league play off for promotion, but Westmeath won the game by two points. Similar results came at u-21 level, but 1995 minor side will always be a case of what might have been. A great opening round win over Offaly set up a local derby with Westmeath, but a late point for the lake county saw them win 1-11 to 2-7 as they went on their path to All-Ireland glory. 1996 saw Wicklow edge out Longford by a point in the championship before a low point as Offaly had a huge win over Longford in 97. That they would end up as Leinster champions was of scant consolation. 1998 saw a change in the senior championship format as Longford, Wexford, Carlow and Westmeath would play off to see who would reach the quarter final. Longford overcame Wexford after a replay, but Westmeath were too strong the next day out. 1999 had a similar pattern as Longford and Wexford again drew with Longford winning the replay, but again Westmeath were much too strong in Mullingar the next day out. The late 90s were tough results to take, but a new generation of footballers were being blooded as the likes of Padraic Davis, Paul Barden, Trevor Smullen and Niall Sheridan all made there debuts. The 1999 u-21 championship saw two titanic battles with Dublin, but the men from the city won the replay after extra time. On the club scene, the senior club championship in the 90s saw different teams dominate at different stages. Longford Slashers completed three in a row in 1991 and won another in 1994. Mostrim took a title in 92 and Killoe would win two titles in three years in 1993 & 1995 before Fr Manning Gaels would bridge a gap of over 40 years in bringing a title to Drumlish and Ballinamuck and go on to complete three in a row in 1996, 1997 & 1998, including a run to the Leinster club semi final in 1998. Dromard ended the decade with a famous championship win, their first since 1946. The intermediate championship was competitive as always. Titles went to St Columbas, Abbeylara (2), Cashel (3), Dromard (2), Clonguish and Ballymahon. Indeed it was noteable that Dromard, Abbeylara, Clonguish and Ballymahon would all go on to win senior titles after winning the intermediate crowns. Junior titles went to Legan (2), Shroid (2), Clonguish, Killashee, Ballymore, St Columbas, Colmcille and Rathcline. Despite the disappointment of the championship exit in 1999, there was growing optimism that Longford had a great squad of players coming together. The first competition of the millennium was the O’Byrne cup and wins over Kildare, Dublin and Offaly set up a midlands derby against Westmeath in Mullingar. A large crowd turned out to see these two young teams in action and the provided a thriller with a late Trevor Smullen goal setting up a 2-6 to 0-7 win for Longford, their first O’Byrne Cup since 1965. The good form continued in the league, with three good wins, but defeat to Laois in the final game denied promotion. The championship was played on a round robin basis. The key game was against Wexford, where they won 3-9 to 0-12. Two wins against Wicklow and Carlow didn’t see Longford through. 2001 saw Longford surrender the O’Byrne cup in the opening round. The league saw Longford win 4 from the first 5, but defeats to Monaghan and Kidlare in the final round meant there was no promotion. The championship started with a terrific win over Louth in Navan to set up a quarter final against the Dubs. They ultimately won well in the Croke Park clash. 2001 also saw the introduction of the back door, or qualifiers. Longford’s first second chance outing was away to Wicklow, where the garden county men won 1-14 to 0-11. 2002 saw a mixed league campaign where promotion evaded Longford again. The senior championship saw Longford take on Louth where the game went to a replay which Louth won convincingly. Longford’s first home qualifier game resulted in a great win over Down, but Derry were to prove too strong in round 2. Without doubt, 2002 belonged to the county minors. Playing in the preliminary rounds, wins over Carlow and Kilkenny set up a quarter final match against Offaly. A win here saw Longford face Dublin in Mullingar. A tight tense game ensued but Longford won 1-8 to 0-7 to set up a Leinster final against Meath where 2-3 from Michael Hussey saw Longford record a famous 3-8 to 3-5 win and earn a place in the All-Ireland quarter final. That game was a Shannon side derby where Longford defeated Leitrim 4-6 to 1-6 to earn a trip back to Croke Park, but Derry proved much too strong as they won 3-13 to 1-3, indeed they went on to win the final comfortably as well. 2002 was also a great year for Longford hurlers as they gained promotion to division 2 of the national league for the first time after a great win over Louth. 2003 saw Longford full of confidence and they started well with a run to the O’Byrne Cup final, where Kildare were too strong. A great league campaign followed and a win over Derry in the final round in Ballymahon saw Longford promoted and into the division 2 semi finals, but Westmeath pipped Longford to a 1-16 to 2-12 win. The championship draw was tough for Longford, going out to Kildare in the opening round and Donegal in the tough qualifier match. The u-21s had a good run in 2003 with wins over Wexford and Meath after extra time setting up a final against Dublin, but the Dubs were too strong, winning 3-13 to 1-6. The following year had Longford in division 1 for the first time in many years. A famous win over Kerry in the first game was followed up with a win over Westmeath. Defeats followed against Tyrone, Mayo and Cork. The key game against Fermanagh saw Longford lose and so needed to defeat Dublin in Parnell Park to avoid relegation, but Dublin won 2-12 to 2-9. The championship started off with a very disappointing defeat against Carlow, but a late goal in the qualifier game against Monaghan brought extra time and a famous win. Longford went on to beat Waterford, but Dublin proved too strong in round 3. 2005 saw a mixed league with three wins and three draws, but defeat to Roscommon meant Longford stayed in division 2. The championship was no kinder as Longford faced Dublin in Croke Park. Dublin were a point up at half time, but went on to record an emphatic win in the second half. The qualifier saw Sligo edge out Longford in the first round. The u-21s in 2005 would reach the Leinster semi final, but Dublin would have their revenge for the minor semi final three years earlier. 2006 saw Longford embark on a great championship campaign. The Leinster championship draw was tough as once again we faced Dublin, this time in Longford. A packed Pearse Park saw Longford come within a whisker of a famous win, Dublin winning 1-12 to 0-13. The qualifiers opened up with a wins over Tipperary and Waterford before Longford recorded a famous win over Derry in Pearse Park. This put Longford in round four for the first time and one game away from an All-Ireland quarter final. Longford faced Kerry in Killarney and a huge travelling support saw Longford put in a brave performance, but Kerry, who unleashed Kieran Donaghy that night saw them win 4-11 to 1-11 on their way to All-Ireland success. Our under 21s again reached the Leinster final after wins over Carlow and Kildare where we faced Laois in front of a big crowd in Pearse Park, but Laois won a tense game on a scoreline of 0-9 to 0-7. 2007 started off with some silverware for Longford as they won the newly formed O’Byrne Cup shield played amongst teams beaten in the first round. The final was a 2-10 to 1-7 win over Athlone IT. 2007 again saw Longford at home in the first round of the championship where despite being a well behind at half time, a great come back saw Longford win 2-13 to 1-13. The quarter final against Laois was a tense affair on a damp night in Tullamore, but Laois were too strong winning 0-14 to 0-9. This was a demoralising defeat for Longford who faced Westmeath again in the qualifiers and they extracted revenge with a 9 point win. There was no repeat for our u-21s going out to Offaly at the quarter final stage. The O’Byrne cup would again give Longford a fruitful run in 2008. Wins over Kildare, Meath and DCU set up a final appearance against Dublin in Parnell Park. The game was an exciting affair with Dublin pipping Longford by a single point thanks to a late late goal. The championship saw Longford face midland rivals Westmeath once more, this time Westmeath winning 2-10 to 1-10. There was to be no qualifier run though, Laois toppling Longford on the first run. Longford’s u-21s exited at the first round stage, but the minors had good wins over Laois and Louth to set up a semi final against Meath, which the royals won 3-9 to 2-8 in Navan. 2009 saw no improvement in the Leinster championship proper as Wicklow won the first round meeting by two points. But the qualifiers saw Longford defeat Leitrim in Pairc Sean to set up a home game against Kerry. Kerry had a good lead at half time, but a brave second half performance saw Longford put the Kingdom under pressure, but they held on for a 1-12 to 0-11 win. Longford juniors had a good run in 2009 reaching the leinster final in Croke Park, where we drew with Louth, but Louth won the replay 1-12 to 0-10. In the mid 2000s a new hurling championship was introduced. Longford competed in the Nicky Rackard cup in 2005 narrowly losing out to Tyrone in the quarter final. 2006 saw Longford go a stage further as they reached the semi final, only to lose to Donegal in Enniskillen. Donegal were again to knock Longford out in the 2007 quarter final, while 2008 was a major disappointment as Longford didn’t get out of the group stages. 2009 saw the introduction of the Lory Meagher cup which Longford entered. Wins over Warwickshire and Donegal saw Longford reach the semi final, but Croke Park was to elude Longford again as Tyrone won the semi final by four points. On the club scene, a number of clubs won their first titles and others bridge a long gap. Abbeylara got the ball rolling by defeating Fr Manning Gaels in 2000 to win their first title after so many near misses. The Gaels were back on top in 2001, before Ballymahon recorded their maiden senior victory in 2002. Clonguish then breached a 22 year gap to win in 2003 and 2004. Dromard won win titles in 2005 and 2007 in between another Abbeylara success in 2006 before Colmcille ended a 50 year wait for Sean Connolly cup success in 2008. The decade ended with Clonguish back on top after winning their third title of the decade win a replayed win over Dromard. Hurling was dominated by Wolfe Tones and the coming of age of Clonguish Gaels (between them they won 5 and 3 titles respectively) after Slashers Gaels had got the new century off to a flying start with victories in 2000 and 2001. The intermediate grade also provided some great matches. St Columbas won their way back to senior in 2000, followed by Carrickedmond ending a 23 year wait. Granard’s second string won in 2003 followed by big wins for Kilashee, Ballymore Rathcline and Ardagh. St Columbas and Kenagh needed two epic games to be seperated in 2007 with the North Longford men winning in dramatic fashion before Cashel ended the decade with wins in 2008 and 2009. The junior championship saw a good spread of titles across clubs with wins for Rathcline, Legan, Longford Slashers, Shroid Slashers, Clonguish, Grattans, Fr Manning Gaels, Mostrim, Shroid and St Munis. Indeed St Munis also won the 2006 solely Junior club championship. Longford Minors started off the decade with a historic Leinster Championship win. The campaign started off with a heavy defeat against Offaly, but wins over Wexford and Carlow got Longford back to the quarter finals where we beat Westmeath 1-6 to 0-6. The semi final saw Longford defeat a much fancied Kildare side before a famous win over Offaly in Croke Park in the Leinster final, winning 0-14 to 0-8. Unfortunately there was to be no return to HQ as Galway won the All-Ireland quarter final 0-10 to 1-6. 2010 also saw the hurlers win the Lory Meagher cup for the first time. The opening round saw a defeat against Donegal, but wins over South Down, Warwickshire and Leitrim gained Longford a rematch in Croke Park where 1-9 from Garreth Ghee saw Longford defeat Donegal 1-20 to 1-12 and Seamus Hannon lifted the cup. The silverware continued over the next two years, with the terrific achievement of back to back promotions by the footballers. Under the management of Kildare legend Glenn Ryan, Longford went through the tough division 4 campaign with 5 wins and two draws, the final two games were must win, but the team won their way through to the final where Longford had a deserved six 2-11 to 1-8 win over Roscommon and with it promotion to Division 3. The following year in division 3 Longford hit the ground running, winning the first five games and drawing the sixth to gain promotion with a game to spare. The final in Croke Park saw Longford open up a big lead over Wexford in the first half, and while Wexford made a come back, Longford hung on for a deserved win and promotion to Division 2. The other big success story of 2013 was the county U21 team who surprised many by dumping favourites Dublin out of the competition in an epic encounter in Dublin and reaching the Leinster U21 Final where they narrowly lost to Kildare. In 2014 the hurlers were back to the fore in the Lory Meagher Cup. Having reached the Meagher cup final and winning div 3b of the league in 2013, hopes were high of a good campaign. A narrow win over Leitrim and a comprehensive win over Warwickshire met Longford qualified for the final with a game to spare. Fermanagh were in the same position and they played out a draw in the group match. The final in Croke Park was a high scoring exciting affair, but Longford were deserving winners with Eoin Donnellan hitting 1-9 in a 3-18 to 3-16 win that allowed Martin Coyle to raise the cup. The footballers had mixed fortunes in 2014. The Leinster Championship campaign finally yielded a win over Offaly for new manager Jack Sheedy on a scoreline of 0-19 to 0-16, but Wexford proved to be our annual banana skin in the Quarter Final, losing by 1-13 to 1-15 in the sunshine of Pearse Park. The qualifiers took us to Derry and a mouth-watering tie which turned into an epic encounter with Longford winning by 2 points in a high scoring game. Unfortunately it was back down to earth with a bang in the next round when Tipperary inflicted a 17 point defeat on Longford to end the 2014 championship campaign. On the Club Football scene, Longford Slashers & Killoe Young Emmets dominated the first half of the 2010’s, with Mullinalaghta dominating the second half of the decade. Longford Slashers won back-to-back Senior Football Championship titles in 2010 and 2011 before Killoe Young Emmets re-emerged in 2012 after a 17 year gap to win the Senior Championship and Leader Cup double, and went on to reach the Leinster Club semi-final. Longford Slashers returned to win the Sean Connolly Cup in 2013, beating Dromard in the county final. Killoe were back at the top spot in 2014, beating Mullinalaghta in the County Final and winning the Leader Cup to complete the double. Killoe retained the Senior Championship title in 2015 with victory over Abbeylara and added the League (Leader Cup) double, becoming the first club in Longford to complete a back-to-back League and Championship double. The second half of the decade however, would belong to Mullinalaghta. History was made in 2016 when Mullinalaghta St. Columba’s played near-neighbours Abbeylara in the 2016 county final, with Mullinalaghta emerging victorious to bridge a 66 year gap and progress to the Leinster Club Semi-Final. The St. Columba’s men sealed the year with Leader Cup success to claim the much coveted League-Championship double. 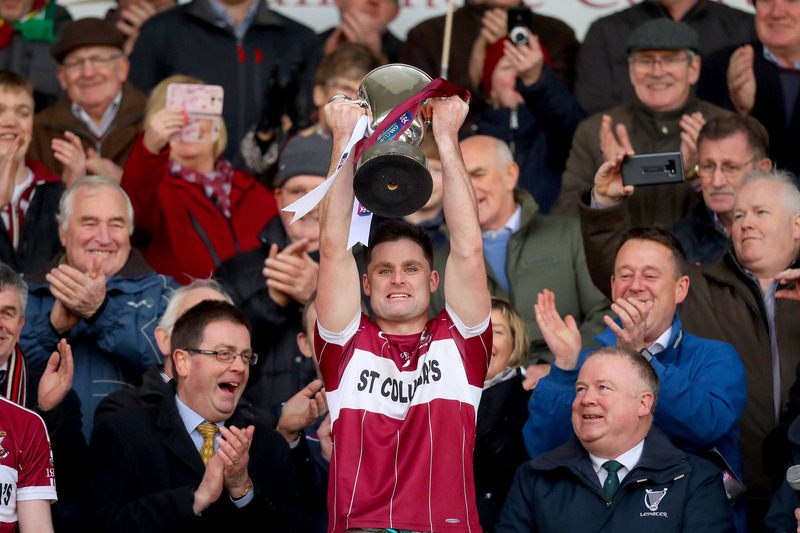 Mullinalaghta were only getting started though, winning back-to-back Championship titles in 2017 (again at the expense of Abbeylara) and completing the League & Championship back-to-back double, while then becoming only the 5th club to ever achieve a 3-in-row of Championship titles in 2018 with victory again over Abbeylara in the county final. The St. Columba’s men would go on to make more history by becoming the first Longford club to reach the Leinster Club Championship final in 2018 and would create history by becoming Leinster Club Champions with victory over Kilmacud Crokes on Sunday 9th December 2018, a day which will live long in the memory and go down as one of the finest in the history of Longford GAA. In Hurling, Wolfe Tones became the dominant force of the decade with county final wins in 2010, 2013, 2014, 2015, 2016, 2017 & 2018, punctuated only by the Clonguish Gaels win in 2012. There was no hurling championship final played in 2011. The above records were researched in full in 2014 & 2015 using local and national media, previous historic publications and the national archive.